2TH offers you interdental solutions for bright and healthy teeth. This website provides you with information and advice on how you can use 2TH products to protect and keep your teeth healthy. 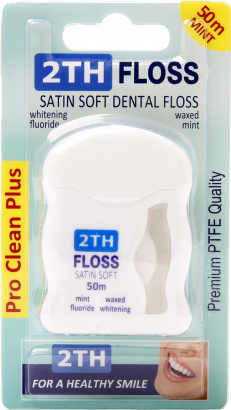 2TH products are specially designed to help provide optimal cleaning between teeth (interproximal cleaning). Using a toothbrush only cleans up to 60% of the surface of your teeth. 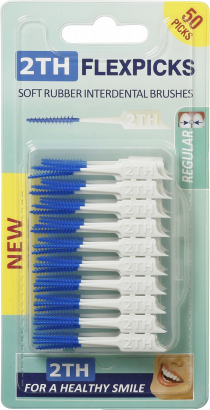 2TH Interdental products can help clean the other 40%. Remove traces of food and plaque simply and effectively. Use the 2TH interproximal products daily after regular brushing or food. 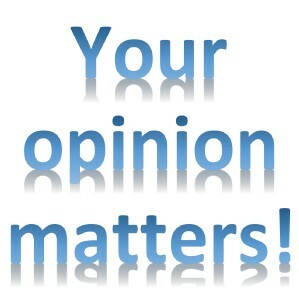 As a customer, you are very important to us and we would love to hear what you think about our product(s). 50 picks. Soft rubber interdental picks. 10 pack. With Flexible grip and Premium quality DuPont™ Tynex® filaments. 2x 60 Picks. 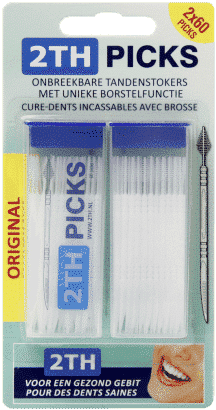 Unbreakable toothpicks with handy interdental brush. Pro Clean Plus 50m Extra Soft & Strong. What is gum disease (gingivitis) and how can you best prevent or cure inflamed gums? Inflamed gums; How do you prevent gingivitis?